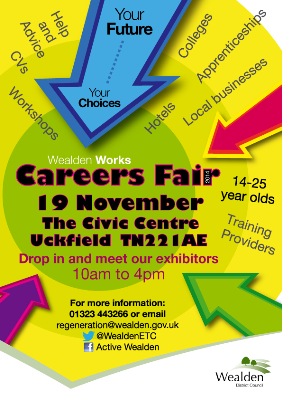 The first Wealden Careers Fair will be held on the 19th November at Uckfield Civic Centre. Businesses, colleges, universities and training providers have been invited to come along to meet the young people of Wealden and inspire them on what choices they make for the future! So far around 50 exhibitors have confirmed to be involved with the event, where they will make their stands as interactive as possible to engage with the students. All of our secondary schools have been invited to come along to the event. Schools are bringing along different year groups as the event is open for 14-25yr olds. 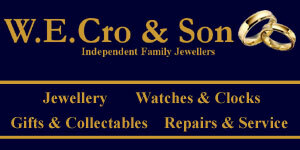 If you would like to come along and meet our exhibitors, the event will be open 10am till 4pm at Uckfield Civic Centre. Or if you would be interested in taking part in the event, either by exhibiting or providing a workshop or talk, please contact us for more information using the contact details below.